Hello! 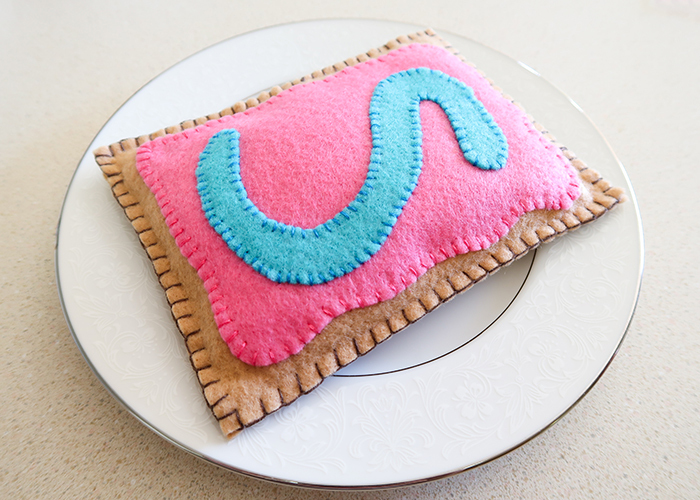 Today I’m sharing this Felt Food Poptarts Tutorial with you. 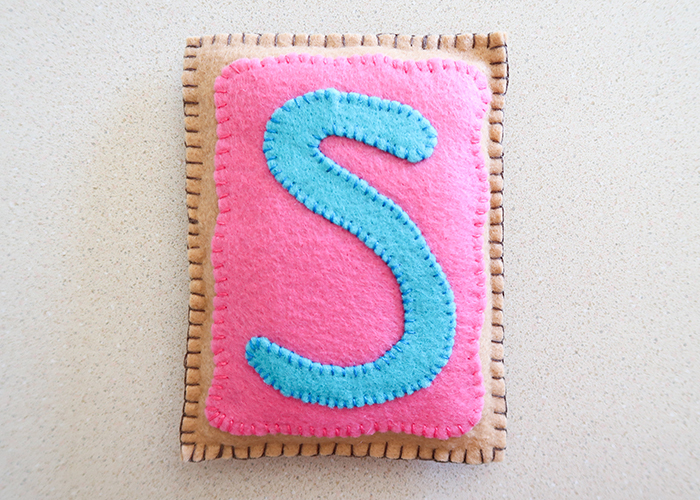 This is super fun to sew and you can change the colors to make whatever flavor of pop tart you would like! 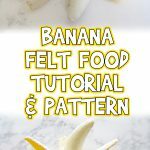 This tutorial doesn’t require a pattern. 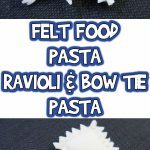 In fact, I’m going to teach your how to make this without a pattern to help you understand how the pieces come together so you have more confidence the next time you try and make felt food on your own! Let’s get started. 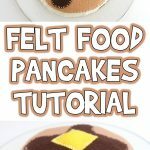 We have a whole bunch of felt food patterns you should check out! 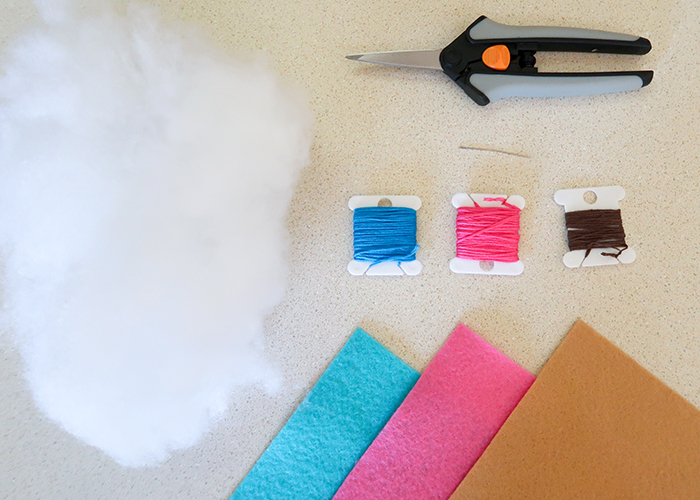 Tan, pink, and blue felt. Tan (or brown), pink, and blue embroidery thread. 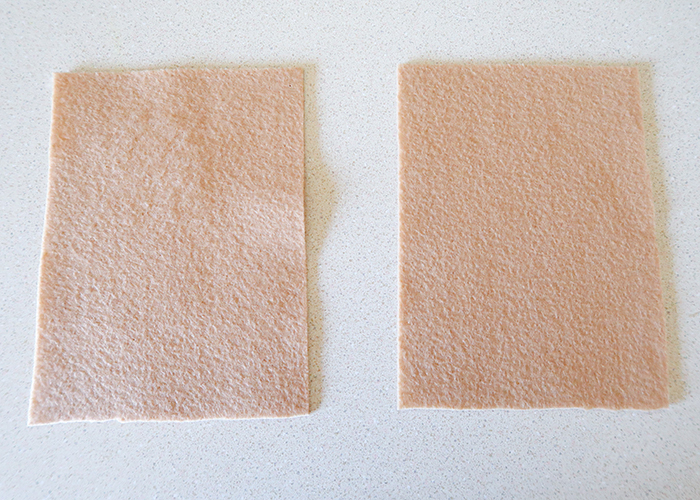 Start by cutting a full piece of tan felt in half widthwise. Take one of those pieces and cut it in half again. 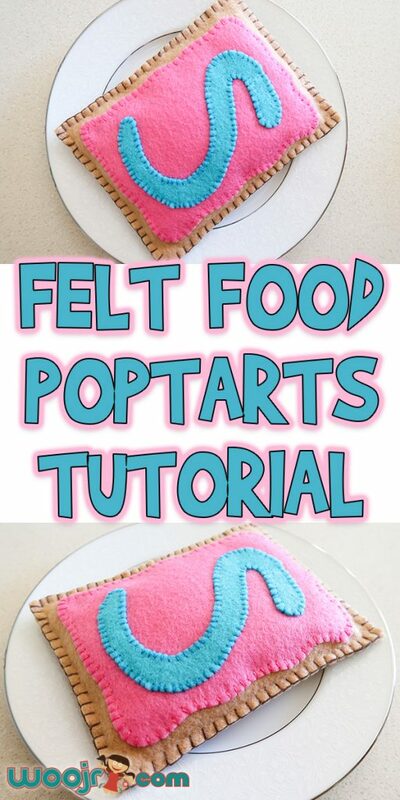 You should have two pieces that are roughly the size of a standard pop tart. Lay one piece on top of the other, and use your scissors to trim them so that the edges are even. Separate them again and set one half off the the side for now. 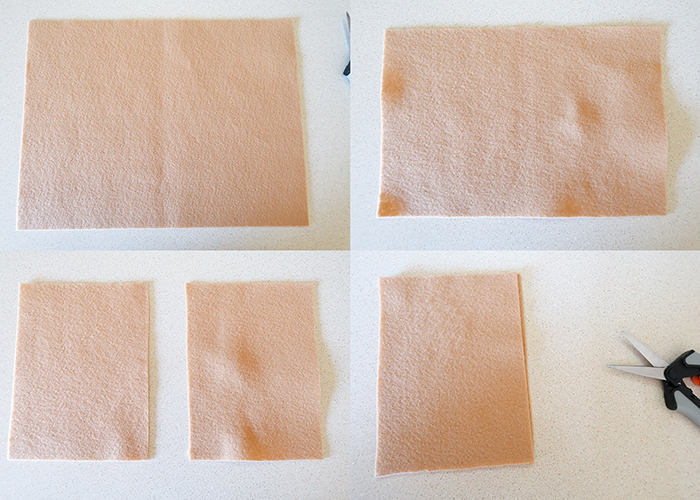 Take your pink felt and hold it up against one of the tan pieces. 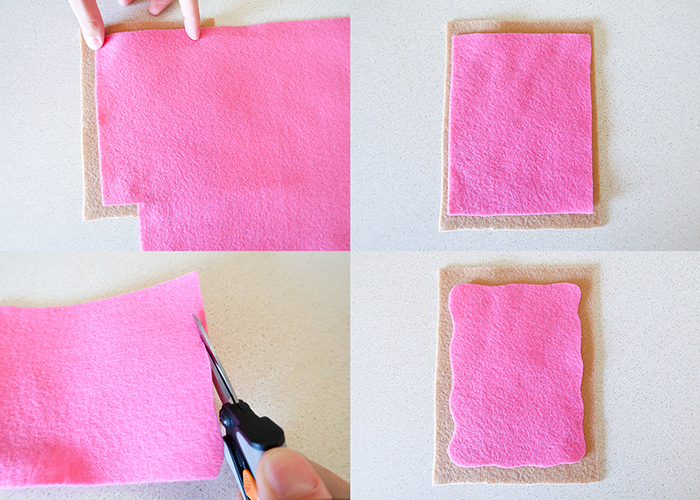 Trim the pink felt into a rectangle slightly smaller than the tan felt, and then use your scissors to make the edges all wavy. It should look somewhat like this. This pink part is your frosting. 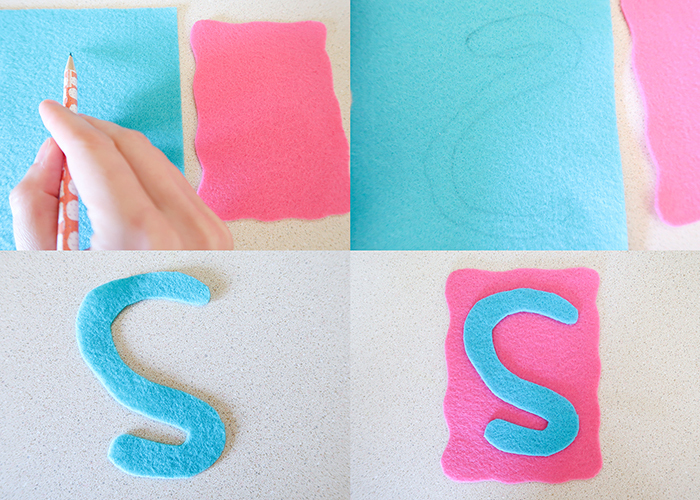 Now hold your blue felt next to the frosting piece you just made, and draw a squiggly shape on your blue felt that will fit inside the pink felt. Cut it out, and set it on the pink to check for size. Perfect! 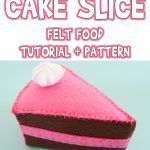 Now take a needle with your blue thread, and stitch your squiggly frosting onto your flat pink frosting piece, all the way around. Then set the whole thing onto one of your tan pieces. 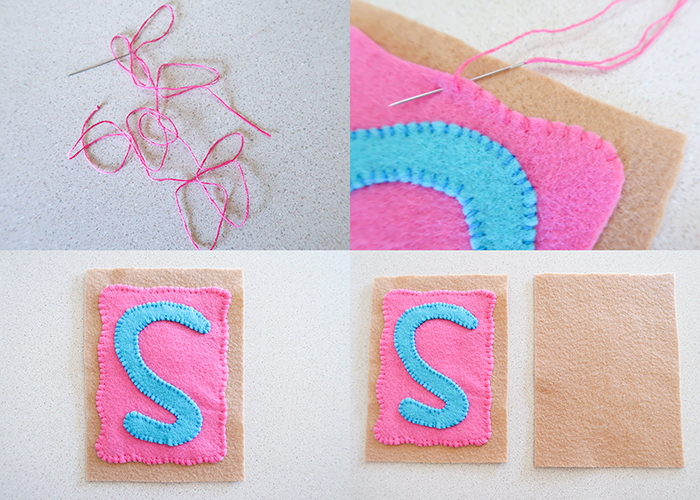 Grab some pink thread and stitch your pink frosting onto the tan piece like shown. Then get your other matching tan piece, and put the frosted piece on top of the plain piece. 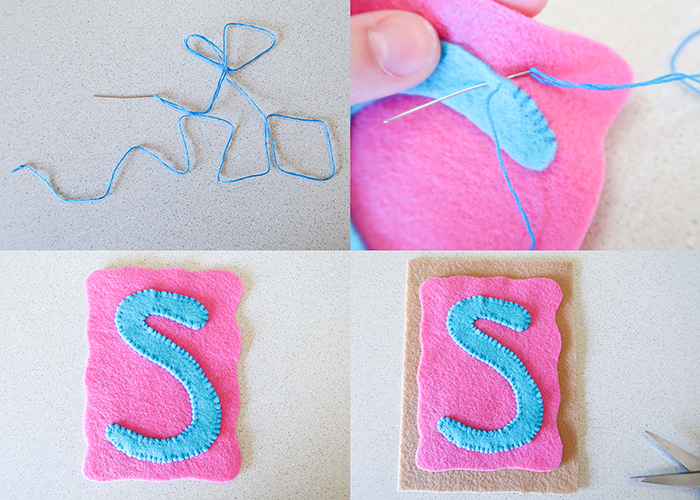 Starting at the center of one side, stitch the two halves together using a blanket stitch. 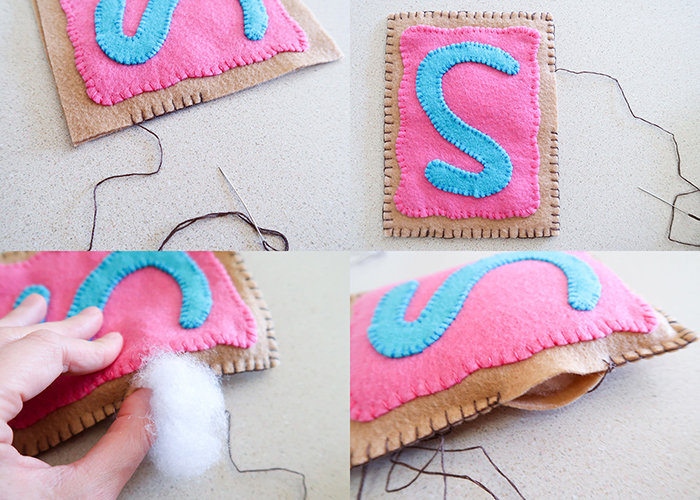 When there’s about an inch gap left unstitched, go ahead and lightly stuff your pop tart. 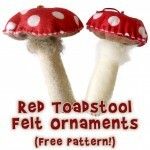 You want it stuffed enough that it holds it’s shape but still remains mostly flat. Now all your have to do is sew up the gap we left to stuff it, and you’re all done! 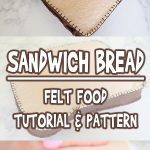 I hoe this Felt Food Poptarts Tutorial was helpful for you, and I hope you’re enjoying this felt food series!